New to Studio 3 STL? Our classes utilize the popular Lagree Megaformer to blend slow and controlled resistance training with HIIT to give you a highly effective 50 minute full-body workout suitable to all fitness levels. We also offer classes on our water rowers and TRX suspension trainers as well as fusion classes combining the Megaformer and Rowers. Working out on the Lagree Megaformer provides a low impact, but very intense, full body class. Tone, strengthen and lengthen in order to rev up your metabolism. 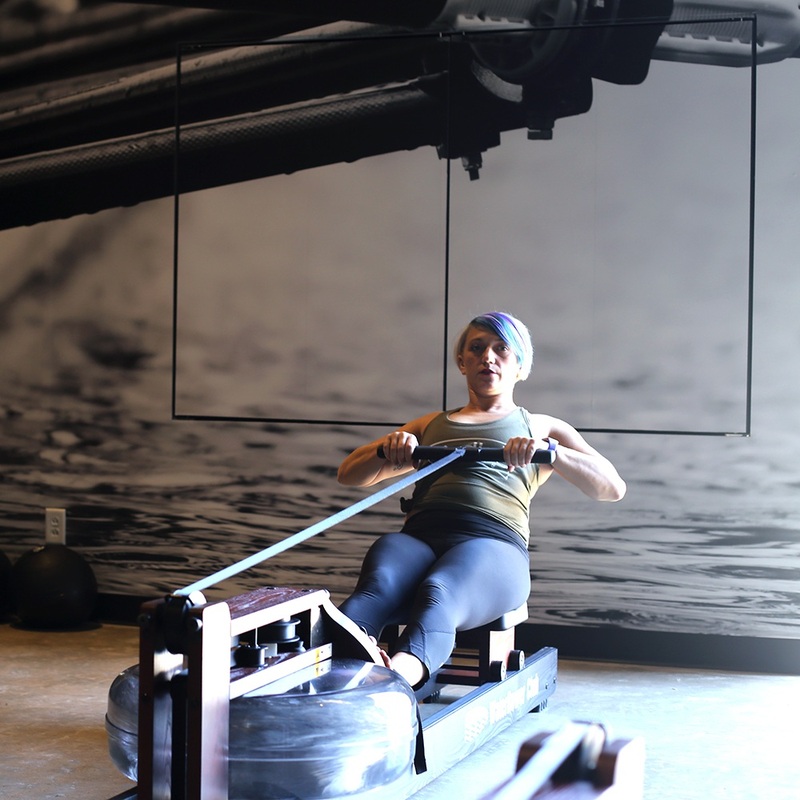 You will get the perfect combination of strength training and low impact cardio when the Megaformer meets the water rower in our Mega+Row classes. The TRX Trainer challenges your core and raises your endurance when paired with the water rower. Use gravity and your bodyweight to perform fast, effective full-body exercises. Sign Up for Studio 3 Email Updates! Thank you! We’ll be in touch with our latest updates! The idea for Studio 3 was born when, Cari Benz Allen, a long time marathoner, triathlete, fitness instructor and creator of Core 3 Fitness, traveled to Chicago and took a class on a Megaformer. She instantly fell in love with the machine and knew this was something she wanted to combine with other modalities to create a completely unique workout.